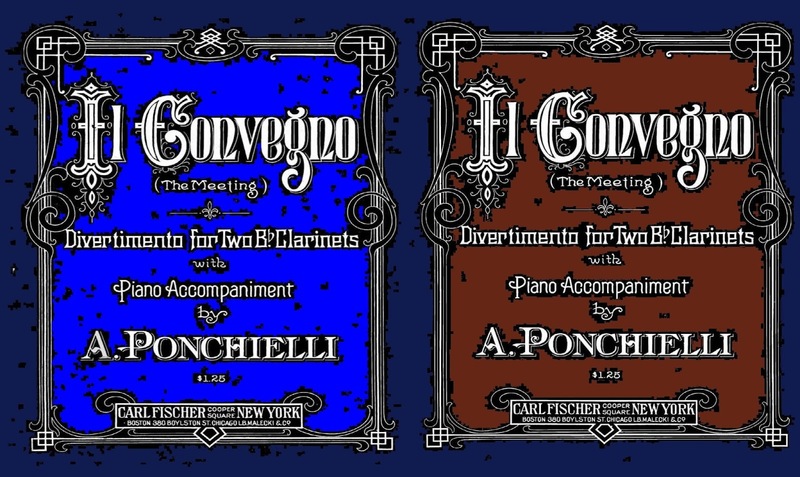 Amilcare Ponchielli is best known for his opera La Gioconda, but he also wrote instrumental music and there is a chance to hear his Il Convegno, divertimento for two clarinets and piano, on Monday 17 October 2017 at the 1901 Arts Club in Waterloo. 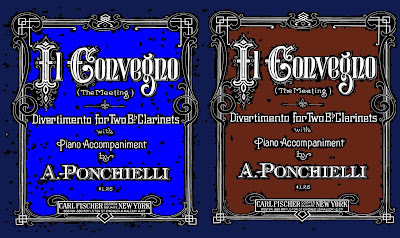 Franklin Cohen (former principal clarinet of Cleveland Orchestra) and Chris Richards (principal clarinet of London Symphony Orchestra) will be joined by the Kazakh pianist Dina Duisen in a programme which also includes Weinberg's Sonata for clarinet and piano Op.28, Schumann's Fantasiestücke Op.73, Poulenc's Sonata for clarinet and piano in B flat major (written in 1945) and transcriptions of Schubert songs. Full information from the 1901 Arts Club website, and the concert is being repeated on 19 October 2016 at St Mary's Church, Perivale.